We think it’s best to shop at Whole Foods with a mission. The store is so full of tantalizing superfoods, quirky artisanal offerings, and kitchen “must-haves,” that before you know it, you’re at home emptying your shopping bag wondering, wait, why did I buy a mango peeler? We don’t want that to happen to you. So we made a list of Jewish and Israeli products from Whole Foods that you will actually use. Stock up on some of these pantry staples and you’ll be set to tackle anything from za’atar roast potatoes to that daunting ingredient list in your new favorite Israeli cookbook. 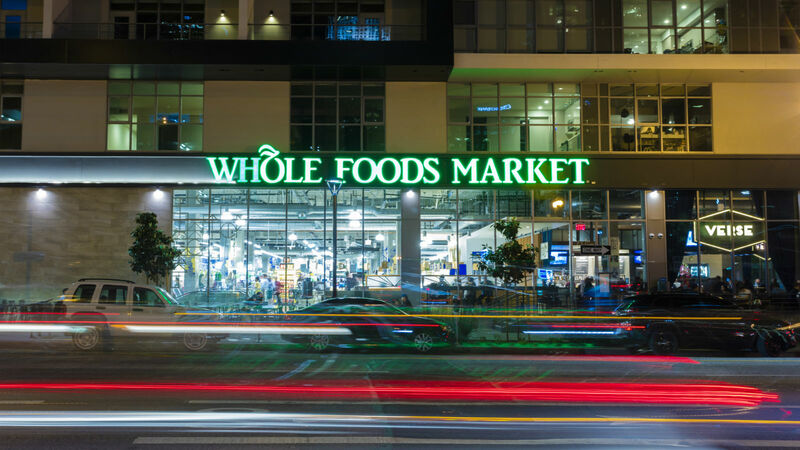 We went to the Whole Foods in Union Square, Manhattan, but you can probably find similar items in your local Whole Foods, as well. Challah: if you don’t have time to make your own, Whole Foods carries a brand that looks fresh and delish. Some stores even make challah in-house. Perfect for Friday night, or any time. Lilly’s Supreme Chocolate Babka (brands will vary): We haven’t tried it yet, but from the looks of it, this is an intricately swirled bread topped with mini chocolate chips. It’s certified Kosher pareve to boot. Bulk cookies: Year-round, you can find hamantaschen, rugelach, and mini black and white cookies for 10.99/lb. Mix and match your favorite Jewish sweets. Warning: These cookies can get pretty addictive. Pickles: Bubbie’s Kosher Dill Pickles and Real Pickles Pickled Beets are just a few deliciously sour options to consider. They’re lacto-fermented, meaning pickled with just salt and water (no vinegar!). A true old-world specialty. Horseradish: We found Holy Schmitt’s Horseradish mustard in a refrigerated case that housed quite the goldmine of flavors: hummus, tofu, miso paste, wonton wrappers, and Gold’s horseradish. 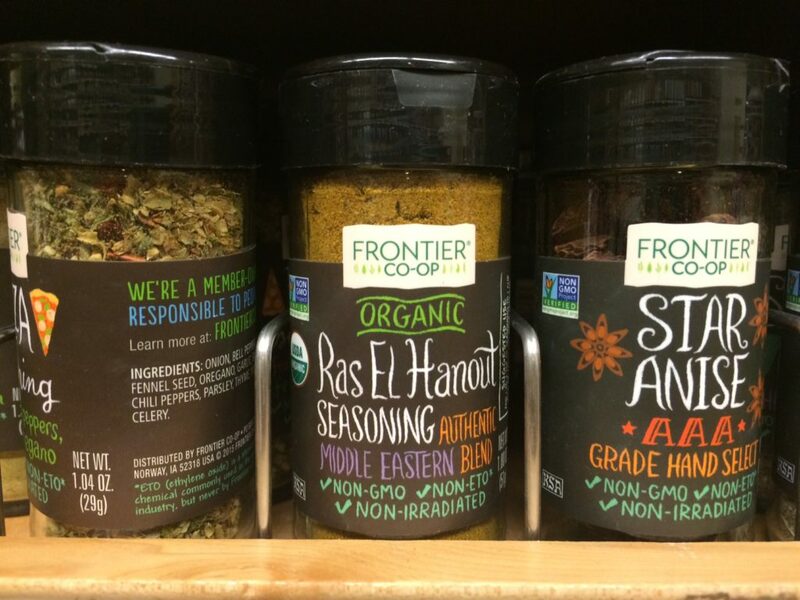 Ras El Hanout: This North African spice blend (above) was brought to Israel by Moroccan and North African Jews. It’s a great way to flavor Israeli couscous, chicken, or lamb. Za’atar: There are a lot of different ways to blend za’atar, a spice blend that’s used liberally in Israel. It often includes oregano, marjoram, thyme, and sesame seeds. 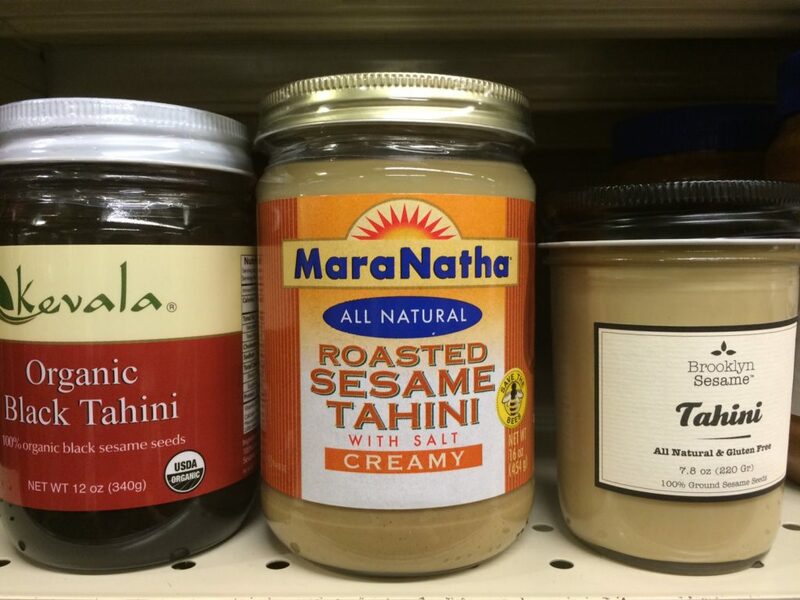 Tahini: We found a variety of tahini brands to choose from. Roasted, raw, and black tahini are pictured above. Black tahini is relatively new to the US market, and has a more intense and roasted flavor than tahini made with white sesame seeds. Hummus: Whole Foods makes a variety of hummus fresh and in-house. Creamy and flavorful, it definitely passed our taste test! Try out their original, jalapeno, roasted red pepper, lemon and garlic flavors. Date Syrup: used widely in Middle Eastern and North African cooking, date syrup is a sweet, honey-like condiment. Sometimes it’s referred to as silan or date honey. Drizzle atop Greek yogurt, or use in place of sugar or honey in meat marinades, stews, or desserts. 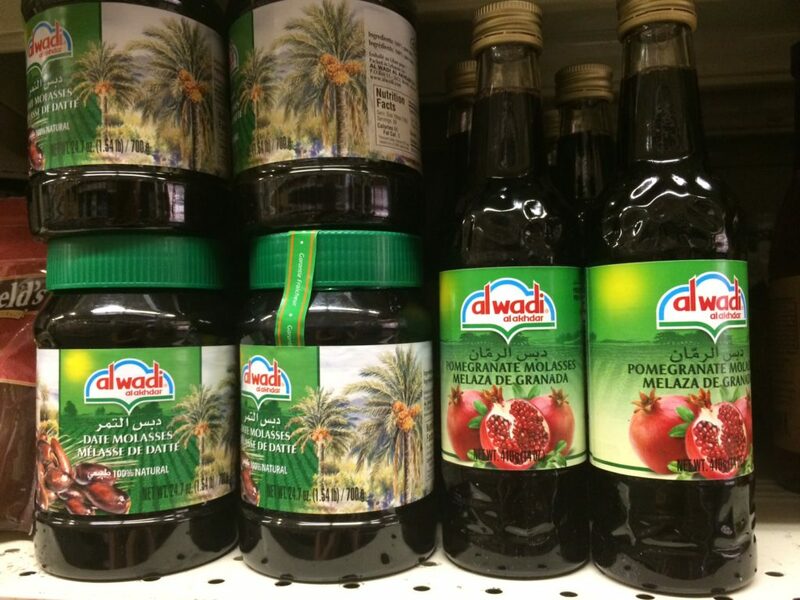 Pomegranate Molasses: This hard-to-find condiment is probably right next to the date syrup. It’s basically pomegranate juice, boiled with sugar and lemon. This is a tangy molasses that is an essential for making muhammara (Israeli breakfast spread), and a creative addition to cocktails, iced tea, and even meat marinades and salad dressings. Pomegranate Juice Concentrate: This is 4x as concentrated as pomegranate juice. Since it’s regarded as a health supplement for those who want the medicinal benefits of pomegranate juice, you can find it in the Whole Body section. All you need is a small spoonful to add a fresh Israeli flavor to anything from carbonated water, to cocktails/mocktails or smoothies. Hulled Sesame Seeds: Maybe you want to make your own tahini, or maybe you just want to add a sprinkle of sesame seeds to everything you eat! Whole Foods bulk aisle sells cheap, naturally-grown sesame seeds for all your Israeli sesame seed needs. 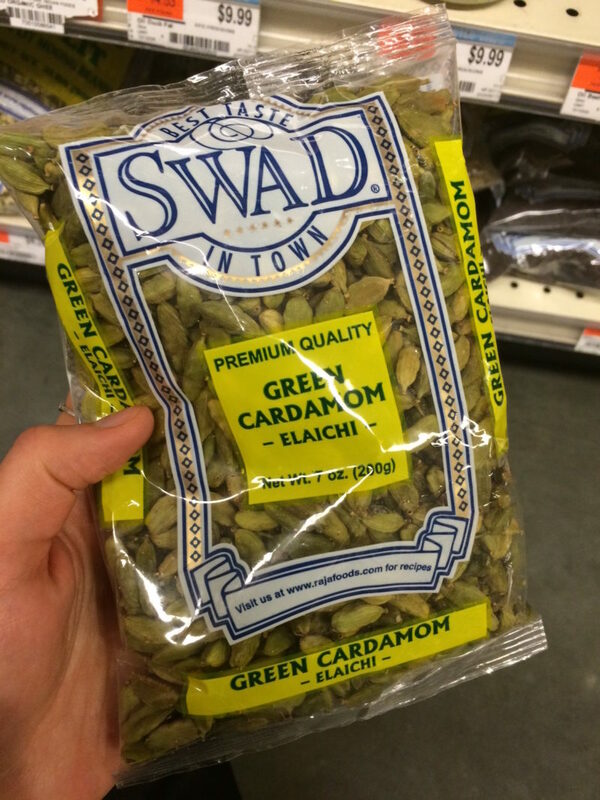 Cardamom: You can find a few packages of bulk spices in the Asian food aisle at Whole Foods. Usually quite expensive, this is a good spice to buy in bulk because it has a longer shelf life. Just break open a pod, and use the tiny seeds. Israeli-American chef Michael Solomonov named it an essential Israeli spice. We love it in Turkish Coffee Ice Cream, iced coffee, and cocktails. 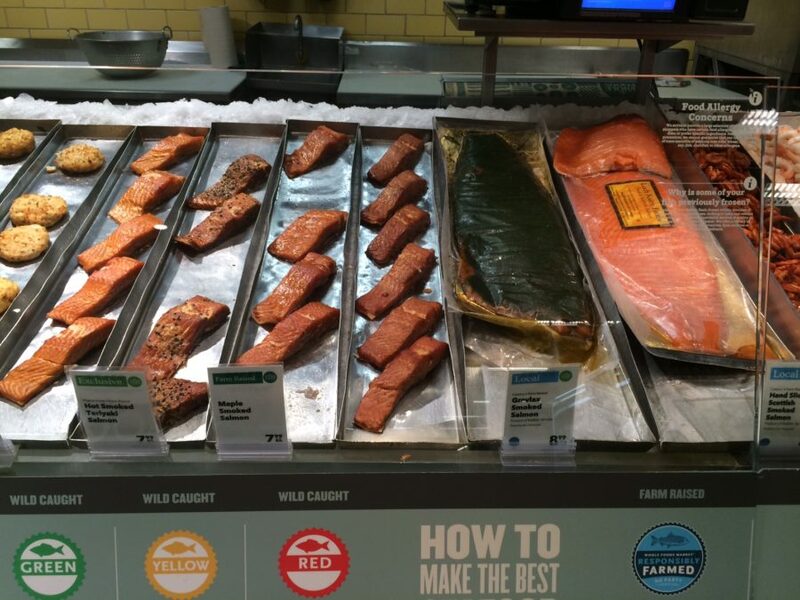 Smoked Fish: Some markets carry smoked fish you can order at the counter while others carry packaged smoked fish offerings, like Acme smoked fish. Either way, you can get your Sunday morning lox fix with their varied offerings. With the popularity of Israeli cuisine, the Jewish foods of Yemen, Ethiopia and Egypt are becoming more and more well-known.